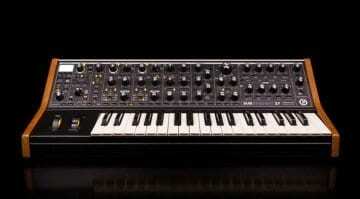 Moog Music didn’t appear to flinch when Sweetwater blundered all those Moog One images and specs all over the place. 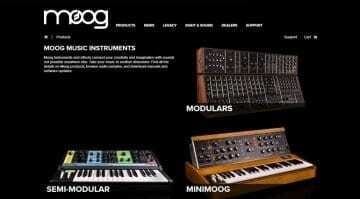 They stuck to their guns and their schedule and now the release of the Moog One is upon us. It’s a dream of a synth: 3 part multi-timbral, 8 or 16 voice polyphonic, 3 newly-designed dual-output analog VCOs (per voice) with ring mod and FM, 2 independent analog filters, a dual analog noise source, analog mixer with external input, 4 LFOs and 3 envelope generators. Each of the parts is an independently addressable polysynth with its own sequencer, arpeggiator and onboard effects library. 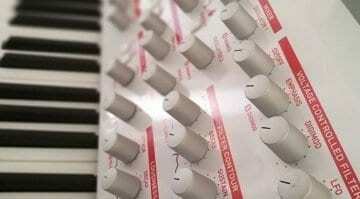 They say the analog signal path of one voice is more powerful than a Minimoog Voyager. 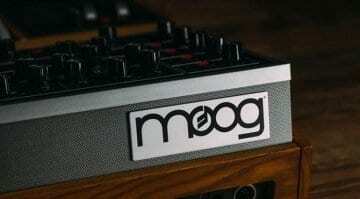 The Moog One is the result of decades of research and experimentation. 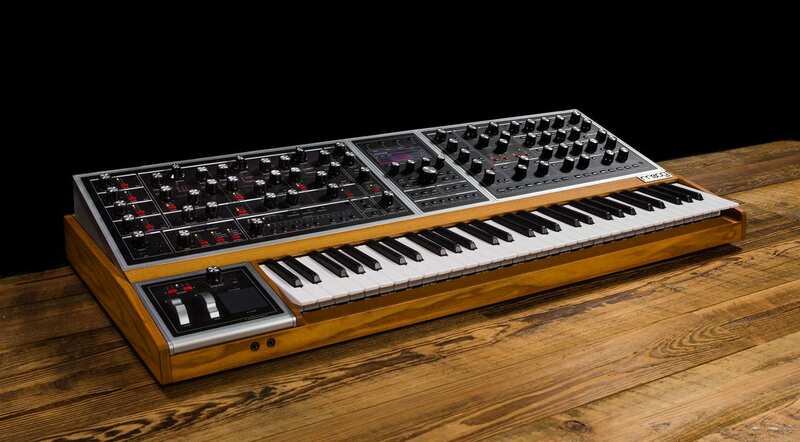 They’ve built it to be the ultimate synthesizer and it certainly looks the part. There are over 200 front panel knobs and switches designed to offer an intuitive sound design landscape. A modulation matrix gives a visual representation for every possible combination of synthesis components. You can store thousands of presets containing parameter settings, sequencer programs, patterns, splits, modulation and effects settings. While 64 presets can be active in the front panel “performance set” for instant recall. We’ve wondered about the ethernet port on the back. Apparently, it allows the synth to “phone home” for diagnostics from head office. Other connections include audio inserts, mic/line inputs, two CV inputs and four CV outputs, sub outputs and two expression pedal inputs. There’s a lot of detail to pour over while we consider how on earth we can come up with the alarming amount of cash required to join the Moog One family. 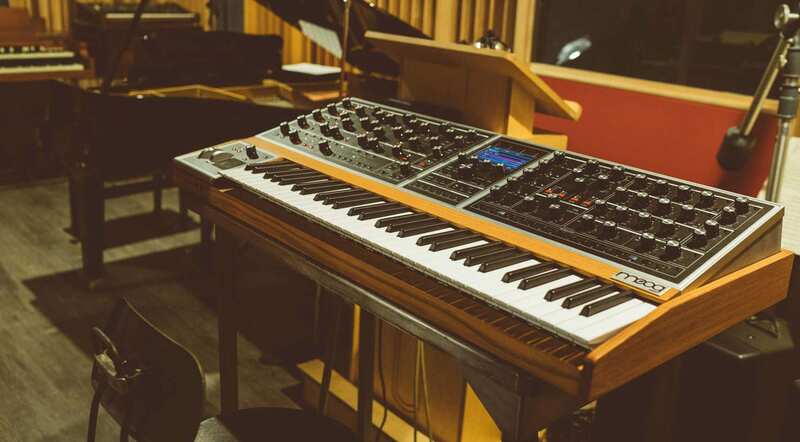 The sound examples are stunningly familiar, reminding us of the fatness of Moog synthesizers and how they are not trying to be clever, they are simply awesome. Check out the film below to fully immerse yourself in the way of the Moog One. What an awful product demo. Noisy, glitchy, sampled effects, dodgy characters bumbling around, random noodling with cigar in hand, lots of pads, except for a few moments of brilliance from Chick Corea – and too many grainy shots of waves and the Blue Ridge Mountains. How is this meant to inspire me to spend a whopper on an analogue polysynth?